How to Create a Dance Logo? Dance is a symbol of the universe. Initially, it was far from entertaining, being one of the ways of communication, self-expression, and enlightenment. Today, it has not lost its symbolic power. The first thing to consider when creating a dance logo is the observance of the dynamics of images for the transmission of mood. Dance is grace, energy, curves, so the logo should be emotional. Only, in this case, it will be possible to convey its meaning and draw attention. To create a dance logo, you can use real models of dancers or bright moments. Almost every logo of clubs contain a dancer in a jump. 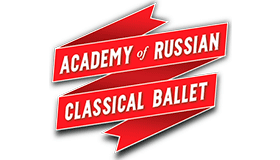 This is the world-famous dance school: Juilliard Dance, Academy of Russian Ballet, Broadway Dance Center depicts in its logo a dancer in a dress coat with a bowler hat on his head. The colors for the logo should be chosen in the light of the need to convey emotions to other people. It is necessary to reflect life and, accordingly, passion. Often the corporate style of modern dance clubs uses a bright contrasting color scheme. For the school of ballroom dances, quieter tones will suit. The color combinations in the dance emblems can be varied. The main thing is to transfer freedom, life, and movement! How do I create a dance logo for my brand?